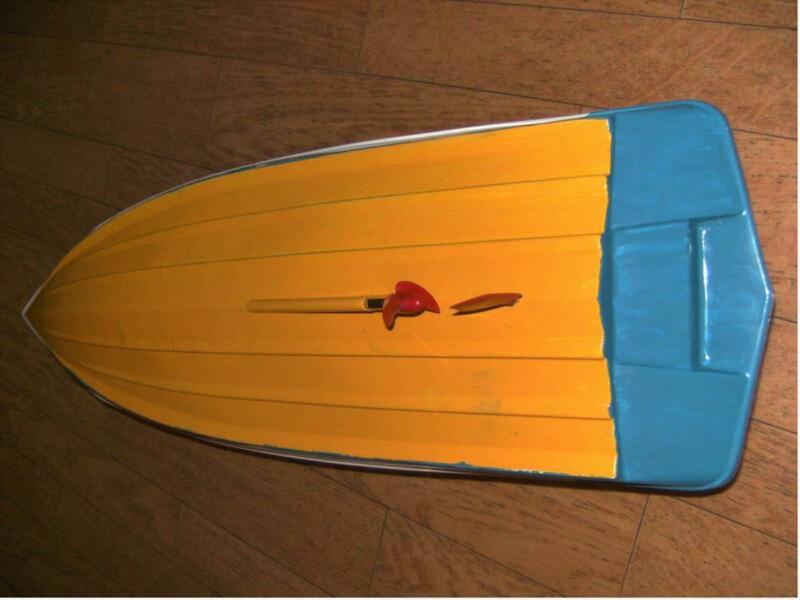 This is a small boat , that I´ve bought from a guy at a Swedish forum. And thanks to you all that helped me, I now know that it´s a Graupner Scimitar :) a big thanks to you!!. It's a Graupner Scimitar Speed. Oh, and it came with mechanical speed controller, different motor and reduction gears. All the stuff in yours is homemade. Thanks so far for the info ! 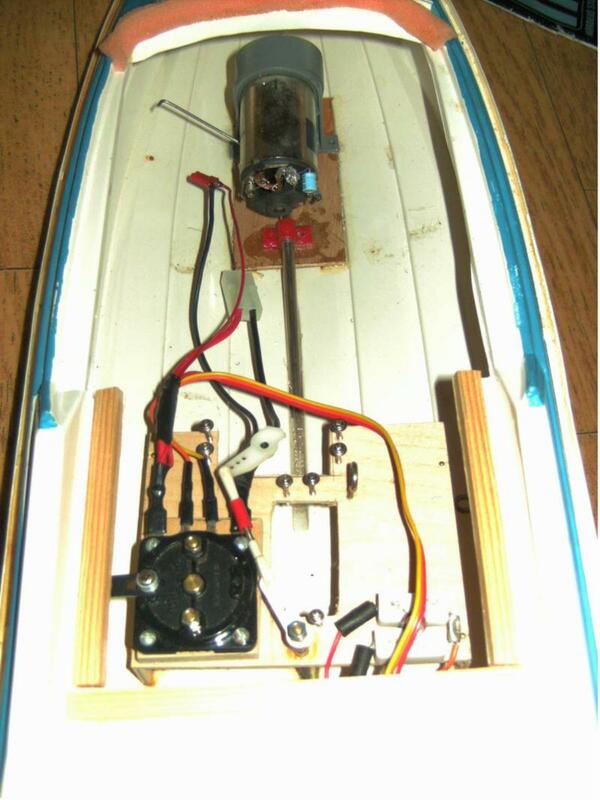 Hi; The name of this little boat is Scimitar Speed and the factory is Graupner. 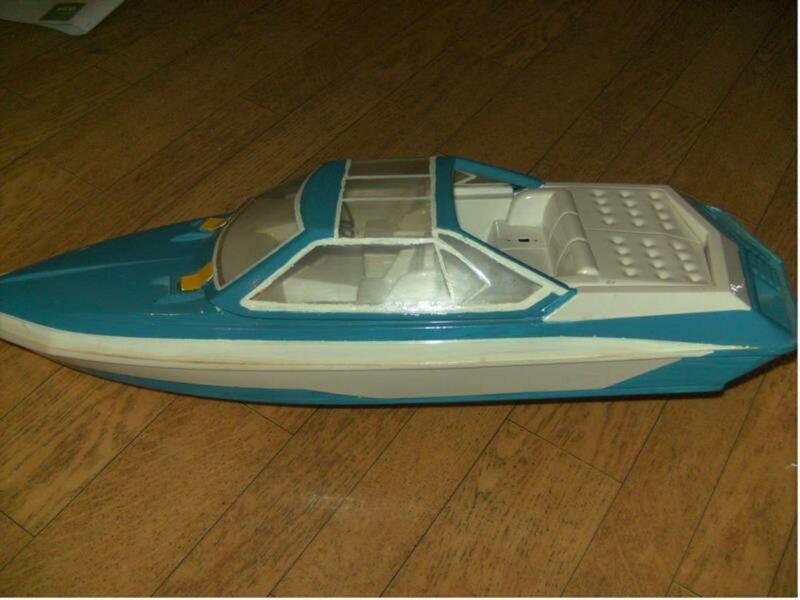 It was my first radio controlled boat in 1991 and I still have it. Anyway the speed controller in it, it isn' t original. Great! 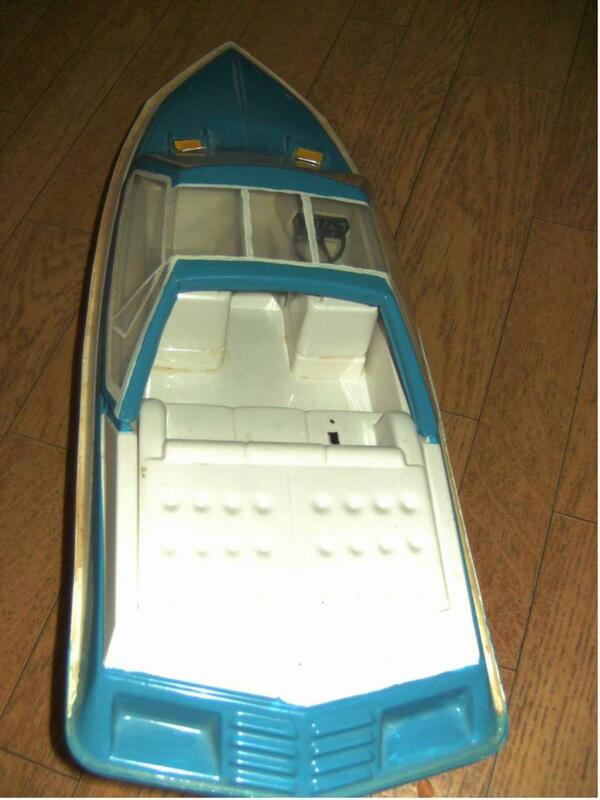 Thanks for all the info about the boat. Nice to know what it needs to get some speed .